Speaking at an ecumenical meeting with the youth in Tallinn on Tuesday, Pope Francis said that scandals related to sexual abuse and financing are driving people away from the Church, and thus the Church must change the way it acts if it wants to retain future generations. "They are outraged by sexual and economic scandals that are not met with clear condemnation, as well as our unpreparedness to to really appreciate the lives and sensibilities of the young, and simply by the passive role we assign them," Pope Francis said in his address at St. Charles' Church in Tallinn. "When we, adults, refuse to acknowledge some explicit situation, then tell us directly: 'Do you not understand then?'" the Pope said. "Some of the more straightforward among you might even say: 'Do you not understand that nobody is listening to you anymore or believes in what you wish to relay?' We ourselves must change; we have to realize that in order to stand by your side, we need to change many situations that, in the end, put you off. "We wish to answer to them; just as you said, we wish to be a transparent, welcoming, honest community open to the people — communicating, accessible, glad and interactive," the pope added. Pope Francis arrived in Estonia for a one-day visit Tuesday morning, the final leg of his Baltic tour on the occasion of the 100th anniversary of the Republics of Lithuania, Latvia and Estonia. 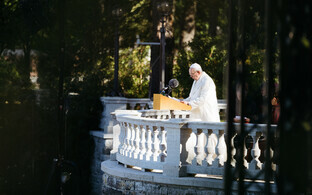 While in Tallinn, the Pope attended a reception with the civil authorities, civil society and the diplomatic corps in the Rose Garden at Kadriorg, attended an ecumenical meeting with young people at St. Charles' Church, and met with those assisted by the charitable works of the Church in Sts. Peter and Paul Cathedral. 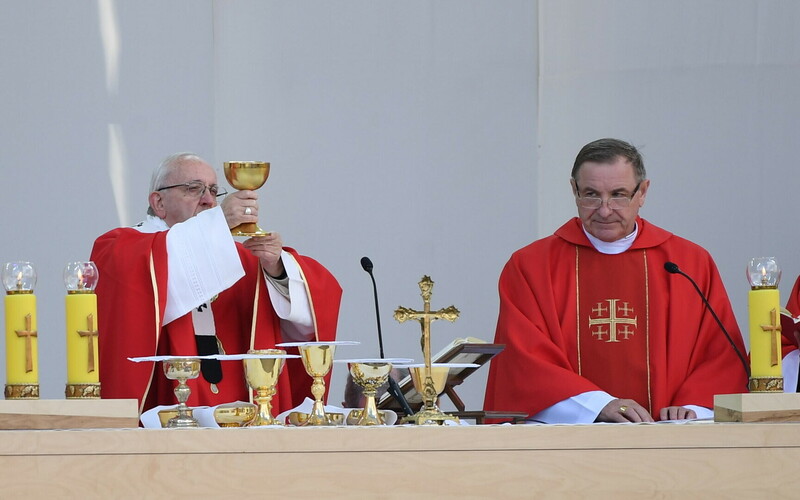 At 16:30 EEST, the Pope celebrated Holy Mass in Tallinn's Freedom Square, which was attended by over 10,000. 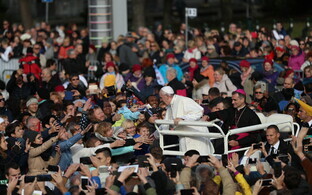 Following Mass, the Pope departed Tallinn for the Vatican.